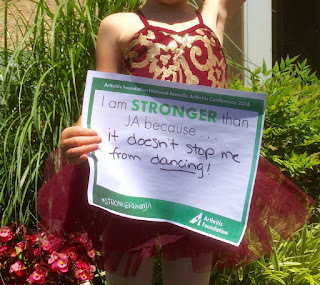 Just over two years ago, our daughter was diagnosed with polyarticular juvenile arthritis. This past weekend, several days after her last T-Ball game of the season, she performed in her first dance recital. And she danced her little heart out. Thanks be to God for the miracles of medicine, brilliant and compassionate doctors, and the will, courage, and strength of our beautiful child who dances in the face of her diagnosis. Indeed, JA does not stop her from dancing. But this past Sunday morning, the music stopped in Orlando around 2 a.m. Dancing was replaced by running. The rhythm of community interrupted by the hatred of a killer. There are few words able to capture what took place at the Pulse Nightclub. There may, in fact, be no words at all. Prayers, while still the best place to begin, are not to be the final stop for all of us who are beyond wearied by the frequency of mass shootings, brokenness of legislation related to the purchase of firearms (especially the AR-15), rise of terrorism through religious extremists, and the grotesque and hate-laced phobias of LGBTQ persons and other minority groups, which spawn these sorts of killing sprees. We can and must be better. More guns- not the answer. Higher walls- not the answer. Ban of immigrants and refugees- not the answer. Religious intolerance- not the answer. "We live through times when hate and fear seem stronger / We rise and fall and light from dying embers / Remembrances that hope and love lasts longer / And love is love is love is love is love is love is love is love is love / Cannot be killed or swept aside..."
Love is the only thing stronger than human confusion wrapped in the nothingness of hate. And when love frames our witness in the public realms of both religion and politics, we just may begin to see the change we all dream to be possible. We may be able to keep dancing. -Karl Barth, Church Dogmatics IV 3.2 p. 398.